The base of the mountain is in a town called Litochoro, which is about an hour bus ride away from Thessaloniki. The KTEL bus travels form Thessaloniki to Litochoro every hour starting at 7am. If you are coming from another direction there are also buses that travel from Katerini and from Athens as well. All of the buses stop at a central bus stop in Litochoro’s central square. Additionally there are trains from both Athens and Thessaloniki that stop in Litochoro. However, travel experts caution that the train station is a bit off the beaten path. 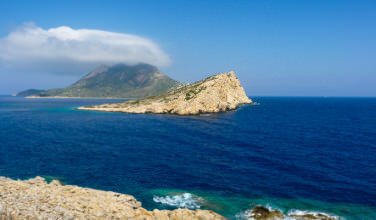 The train stops near the seaside, about 3 miles from the Litochoro town center, so it is advised you either take a bus the whole trip or a train to Katerini and then a bus to base town. 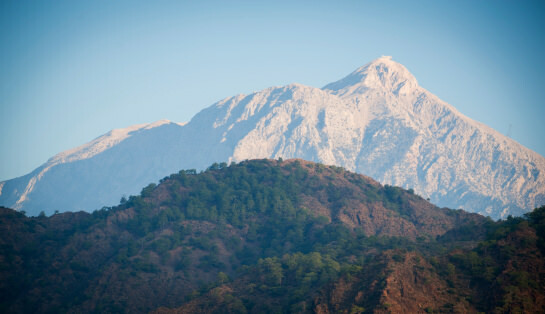 For nature lovers, Mount Olympus offers nature trails and hiking. 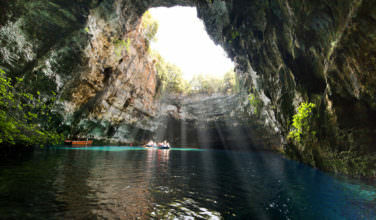 A company called Trekking Hellas runs hiking, mountain biking, and rafting excursions up and down the mountain. For those who are less inclined to scale the mountainside, Litochoros has a lot to offer. The town offers tourists souvenir shops, restaurants, and local bakeries. Additionally, the town has a handful of hotels and some that offer spa services for those looking to relax while enjoying the fresh mountain air. 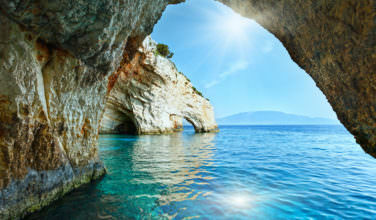 Additionally Litochoros has all of the amenities of modern Greece including schools, banks, a post office, hospital, a concert hall, and shopping facilities so plan on taking at least a few days for visiting Mount Olympus. The town also has two churches Agios Nikolaos in the center and Agios Dimitrios and one of the most traditional cemeteries in all of Greece called Agios Athanasios. While Mount Olympus offers many nature baths, two in particular head to the peaks of the mountain and offer visitors fantastic views along the way. One path follows Enipeas’ gorge, which then passes the Saint Dionysios Monastery. Also on this path is the site, Prionia where tourists will see an old sawmill and can enjoy a café and restaurant with a fountain. For those wishing not to hike, there are parking spaces at the café so you can visit the site via car. 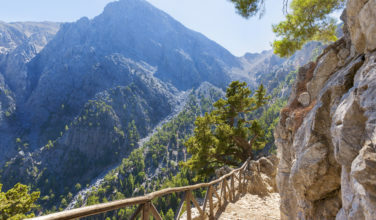 The second path connects Prionia to the Spilios Agapitos Refuge (2100m) and is the most frequented hiking path on Mount Olympus. Prionia is the highest point accessible by car so exploring beyond this area requires a walk up this path. Along the walk, which is mostly through the forest, visitors will find the source of the Enipea River that flows down through Thessaloniki.